PHILIPPE PETIT- There is not much that can prepare you for the extraordinary skills of Petit, this was a performance I hadn’t seen the likes of before. The first set started with Petit on his computer producing an electro grinding swell sustained by beats in the background producing a rising pulse of sound. This moves swiftly into a slither of a noise that then slipped up and down scales moving into sliding scales. All the while the background is haunted – implying a kind of buried sound giving weight to the strength of the slippery electronics. Because of this layering, notes were free to waver from their source, as if they would leap at freedom and scramble to find their place on the register again. At times the sound was underwater, as if the listener is in a submarine or a submerged experience. Sonic and potent. Music that can be felt. XAMBUCA- As the name implies, XAMBUCA, is a non-sensical arrangement of letters spelling out what most often confuse to be the Italian liqueur made from elderberries known as sambuca. In actuality, the name lacks any direct definition whatsoever, the similar spelling only a mere coincidence. Cause it’s never what you think it will be, but it might and we’d like you to start thinking it’s whatever you want it to be…even if it’s horrible. This being indicative of the chance operational, improvisational, free-for-all element of approaching art with a naivete free from distinction, categorization, organization, limitation and imitation while also struggling with the confines of these simultaneously as we would be naive also to ignore that these phenomenon exist wherever humans are possible. THE THREE-BRAINED ROBOT- Decidedly out there noise/performance art insanity. Couple of dudes getting REAL weird. XALLXFORXTHISX- Striaght edge power electronics from three of Milwaukee’s most notorious harsh noise artists. This show will celebrate two new cassettes being released on FTAM. FAKE BLOOD UNIVERSE- Heady drones and beats with a serious infatuation with black metal overlords. CITIZEN 2-13- Harsh noise from the back of a cave as you stand in front and feel to scared to enter. Splinter Reeds is the Bay Area’s first reed quintet, recently formed by five innovative musicians whose reeds vibrate primarily to the sounds of the 20th and 21st Century. The members of this New Music dream team share a composite performing history that includes San Francisco Contemporary Music Players, Eco Ensemble, sfSound, Alarm Will Sound, International Contemporary Ensemble, Dal Niente, Sqwonk, and many more. Active Music Series presents Ochs/Robinson, The duo of Larry Ochs, saxophones, and Donald Robinson, drums. Talk More: electro acoustic improvisations and compositions with Aaron Oppenheim, laptop, Shanna Sordahl, cello and electronics; and Andrew Weathers, guitar and electronics. Watkins / Bonansea Duo: Movement and sound with Choreographer/Dancer Christine Bonansea and Composer/Performer Zachary James Watkins. Henrik Frisk (PhD) is an active performer (saxophones and laptop) of improvised and contemporary music and a composer of acoustic and computer music. Ars Nova Workshop is proud to present Uri Caine and Dave Douglas. Caine, a Philadelphia native and Grammy nominee, has made a career of exploring and combining the worlds of chamber music and jazz. 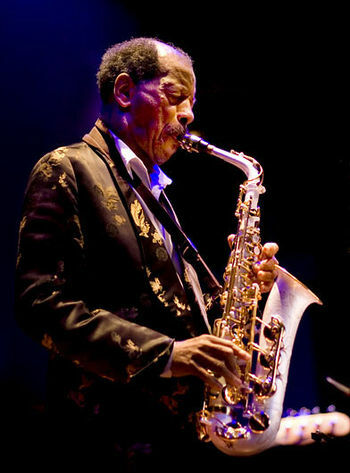 His ensembles have performed his arrangements of the works of classical composers like Wagner, Beethoven and Bach, and he has performed with chamber orchestras all over the world, but he’s also established his standing as a significant figure in modern jazz, having worked in ensembles with Don Byron, John Zorn, Rashid Ali, Barry Altschul, and many others. Ars Nova Workshop is pleased to welcome Unfold Ordinary Mind back to Philadelphia. 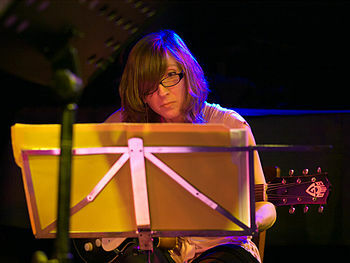 Led by clarinetist Ben Goldberg, the “slightly unorthodox lineup” (AllMusic) consists of saxophonists Kasey Knudsen and Rob Sudduth with Nels Cline on guitar and Allison Miller on drums.